Yesterday, the United Nations confirmed the deaths of Michael Sharp and Zaida Catalan close to Kananga in the province of Kasai-Central. The bodies of the four Congolese––an interpreter and three motorcycle drivers––who were with them are still missing. This blog is not usually meant for personal reflections, but it is impossible for me not to write about Michael as a friend. He was a member of a small community of people, foreigners and Congolese, devoted to examining the complex internal dynamics of the Congolese conflict. We are a weird bunch ––it takes real passion, and probably a minor personal disorder, to spend years of your life obsessing over the inner workings of Congolese rebel groups. Michael took this one step further: he spent years of his life working with and on the Democratic Forces for the Liberation of Rwanda (FDLR), one of the most brutal and reclusive armed groups in the region, trying to gain their trust and to project empathy. Not an easy feat for a committed pacifist. I had heard about Michael probably around five years ago, when he first began to work for the Mennonite Central Committee on the FDLR. “You need to meet this guy, he had amazing information on the FDLR,” a US diplomat told me. I am always wary researchers and activists who come to the Congo for adventure and self-legitimation rather than out of solidarity with the local population. But Michael was no such thing––he was self-effacing, devoted, and empathetic. When it came to the FDLR, as he told a journalist, “You can always listen. 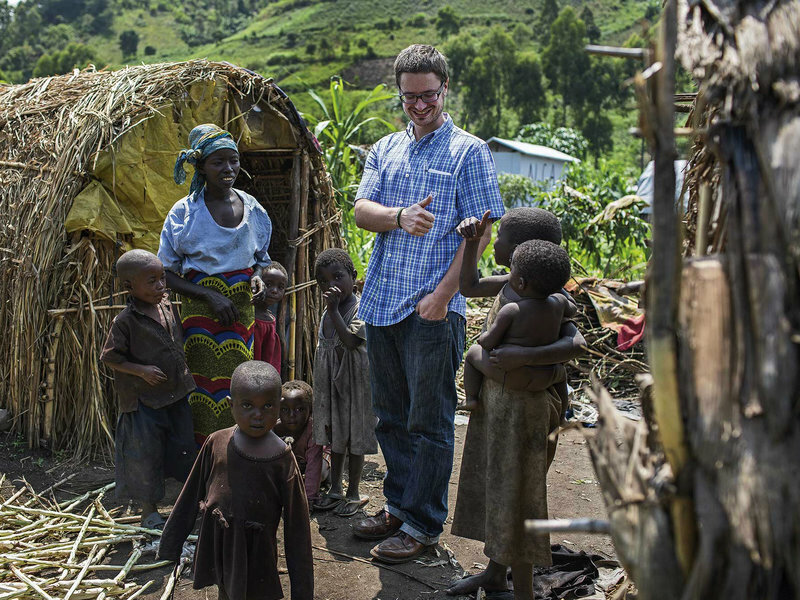 You can always listen to people who want a chance to talk about how they see the world.” And the US diplomat was right––Michael had an impressive understanding of the FDLR, speaking regularly with their senior officers and having spent months in the field with them and their families. Michael would have been the first to have noted our double standards in reporting on the Congo, to note that while we are busy eulogizing him, there are thousands of Congolese who have anonymously died without a mention. I am sure he would have wanted us not to focus on the horrific nature of his death, but instead on the devotion for peace and justice that drove his work. Just as he did with the FDLR, we should brush aside the images of atavistic rebels decapitating their victims and corrupt army officers brutalizing their populations in order to focus on understanding what makes them tick, what motivations and forces perpetuate the violence. And, above all, the lesson for the UN should be to bolster their investigations in the Congo, not to rein them in. A first step in memorializing Michael will be to further his work, especially in the Kasai region where he was killed. The Kamuina Nsapu rebellion and the government’s brutal repression have killed hundreds there since August 2016. Michael and Zaida were killed while doing their job for the United Nations. It is crucial for the UN Security Council, who gave them their mandate, and the UN Secretariat, who hired them, to conduct a rigorous investigation into their deaths and to hold those guilty accountable.